Jesús Adolfo Cariño, María Quiles and Daniel Zurita explain the company’s development and some keys to the future of Industry 4.0. Dattium Technologies is the business that came out of the Data Driven Steel 4.0 project. The success of the Motion Control and Industrial Applications (MCIA) centre’s work has generated know-how that has a market value, and its creators have decided to develop this themselves. 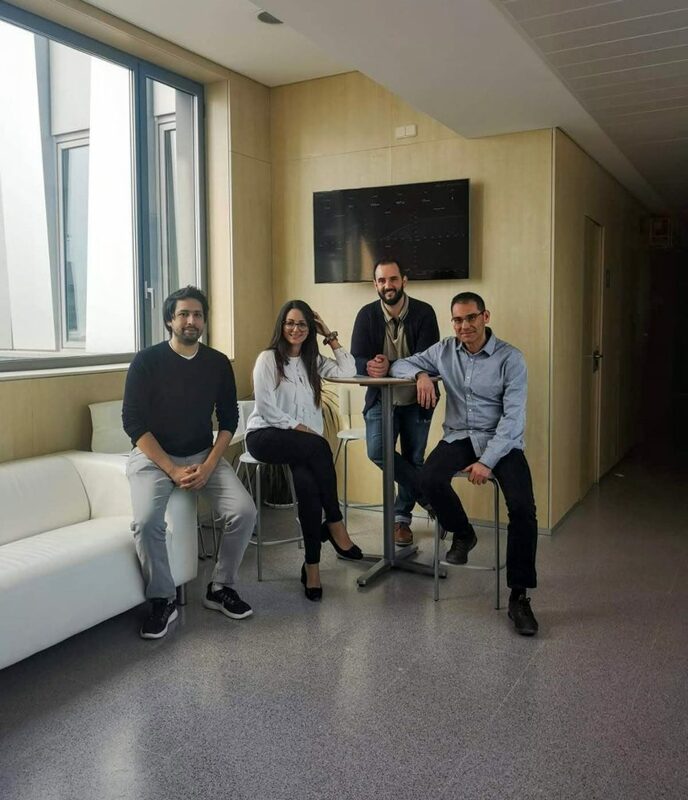 The founders are three young researchers who participated in the project for CELSA: Daniel Zurita, Jesús Adolfo Cariño and María Quiles, supported in the project by Juan Antonio Ortega. Zurita and Cariño hold PhDs in engineering from the UPC, and Quiles, who is also an engineer, is completing her thesis. How did the idea to create a spin-off arise? The spin-off arose from a set of circumstances: during our activity in the MCIA research group, we generated knowledge on the smart monitoring of industrial processes and machinery, applied to various areas that could easily be exported to the paradigm of industry 4.0. We can devise innovative solutions whose recognition by industry is endorsed by distinctions such as the Factories of the Future 2018 award and testbed selection in the latest IOTSWC 2018. Regarding the need to create the spin-off, due to the prestige and successful performance of completed projects, the volume of work has increased gradually. To meet the new requirements effectively, we decided on a more flexible, scalable infrastructure. This led us to the spin-off model, in which we benefit from the synergy between the research carried out in the group and the versatility of a company to adapt to project execution times and needs. Did you receive institutional support in the process of founding the company? Yes, in terms of institutional support we are grateful to the MCIA for the opportunity to train in the area of data analysis. The UPC advised us during the entire process of forming the company and supported us in all stages of defining the business plan. IthinkUPC supported us during the process of creating Dattium and advised us on the professionalisation and scalability of the activity. We are grateful to the CIT UPC for the opportunity to get involved in projects and for the chance to grow professionally, as well as for the visibility it has given us in the process of creating Dattium. What role has the company played in the development of the DATA DRIVEN 4.0 project? The Dattium team created the analytical algorithm for Data Driven 4.0. This was the initial project that enabled development of the smart monitoring algorithm and its success consolidated the work team’s knowledge. This, and the CELSA Group’s confidence in us, inspired us to create the spin-off, to export the analytical methodologies developed in the Data Driven 4.0 project to other companies and areas. Do you consider that the creation of this type of instruments is important for the development of technological innovation projects? It is essential not only for technological innovation, but also for consolidating the knowledge that is generated and the team. A spin-off provides the flexibility needed to execute projects in which commitments and execution times are critical to the company needs. What are the mid- and long-term objectives? Do you think it is feasible to maintain the company beyond the project developed for CELSA? The Data Driven project is just the start of Dattium; now we have the references needed to open a lot of doors in the sector. In the short-term, the objectives are to consolidate our activity and generate a solid, functional structure in the company. In the mid-term, the aim is to develop new technologies to meet the growing needs of the sector and strengthen our position nationally. In the future, we aim to become a national and international benchmark in the development of advanced algorithms for industry 4.0. Did participation in the IoT open up new business opportunities? 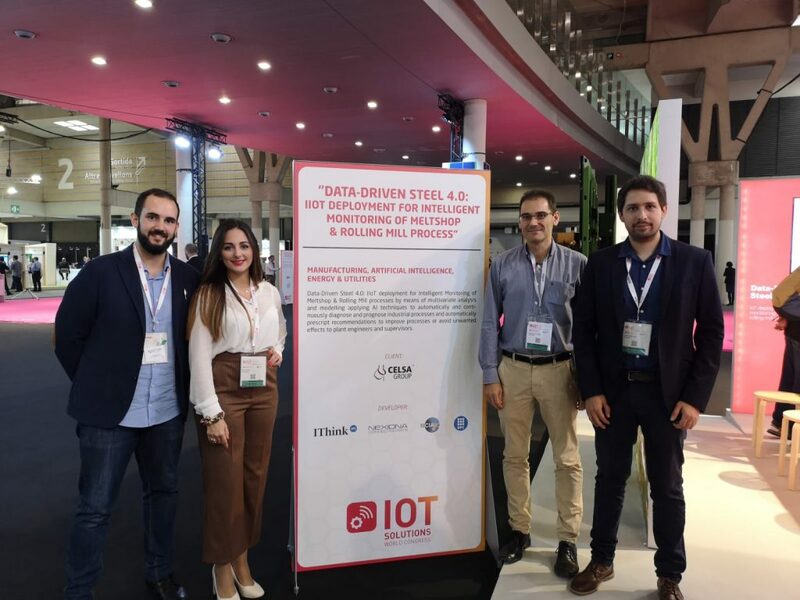 Of course, the IOTSWC is a window to the world, where the biggest companies in the industry 4.0 sector come together as well as clients seeking these kinds of solutions. Being testbed finalists in 2018 was an excellent opportunity to make Dattium known in the world of the Industrial Internet of Things (IIoT). This entry was posted in Post and tagged 4.0 Industry, Dattium, MCIA on 29 March, 2019 by www-citupc.